This sturdy, round garden parasol concrete stand weighs approx. 15kg. If you’re investing in a decent garden parasol then it’s important to consider the right parasol stand for the job. In a sudden gust of wind an unanchored outdoor parasol can cause havoc. Particularly with larger wooden framed parasols you shouldn’t underestimate the power of the wind and the need to securely anchor your outdoor parasol with a substantially weighted parasol stand. 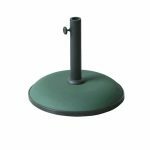 With a 42cm (16.5″) diameter, this robust concrete garden parasol stand features a rubber ring around the base for ease of use. 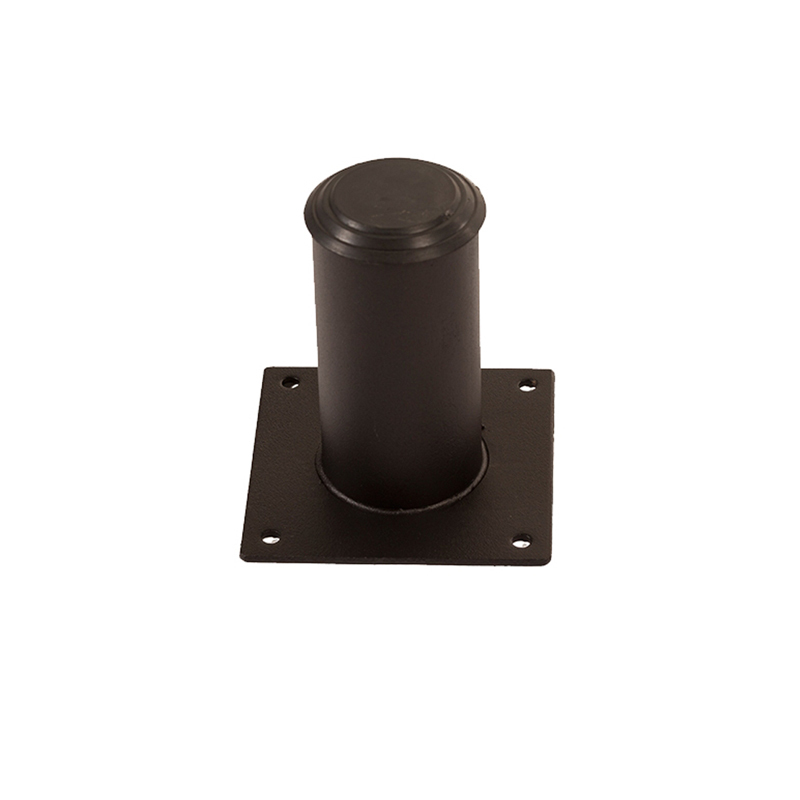 This makes it easy to roll into position if you can’t lift it. An essential anchor for your parasol! There are also a number of rubber feet on the underside to grip the floor, making sure it won’t slide around. 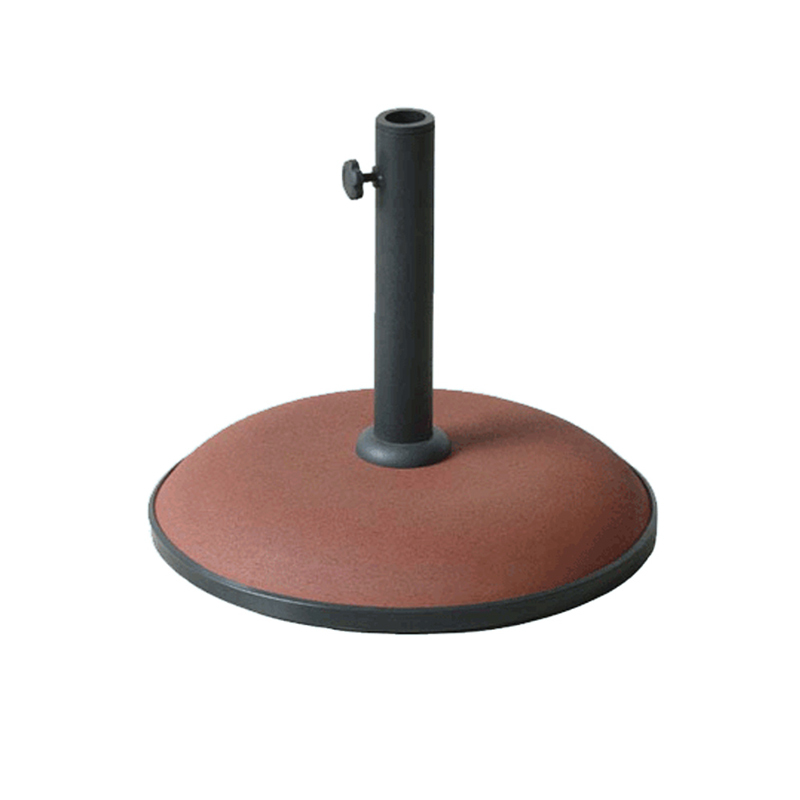 Well built, reliable and weatherproof, this round garden parasol concrete stand is perfectly designed to stand firmly under your garden table and prevent your outdoor parasol from blowing away in your on-going battle with mother nature. A coated steel support tube screws to the centre of the concrete base. A set of various plastic inserts are supplied to enable the tube to accommodate a variety of different sized umbrella shafts. 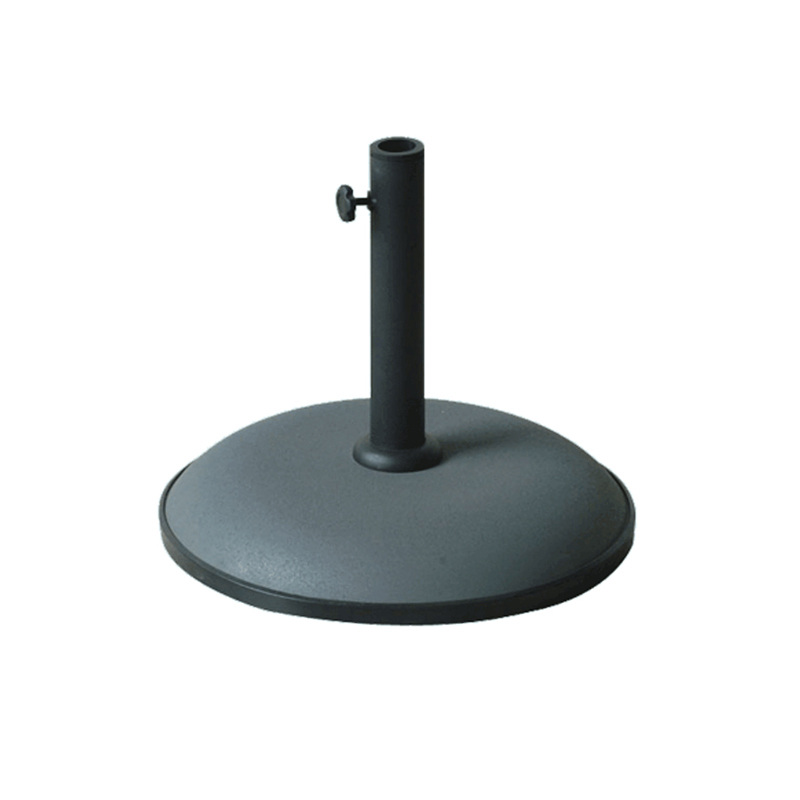 This top quality concrete umbrella base is suitable for umbrella and parasol poles with a maximum diameter of 4.4cm (1¾ “) and a minimum diameter of 2.5cm (1”). An adjustable screw, inserted in a hole at the top of the tube clamps onto and supports the parasol shaft. 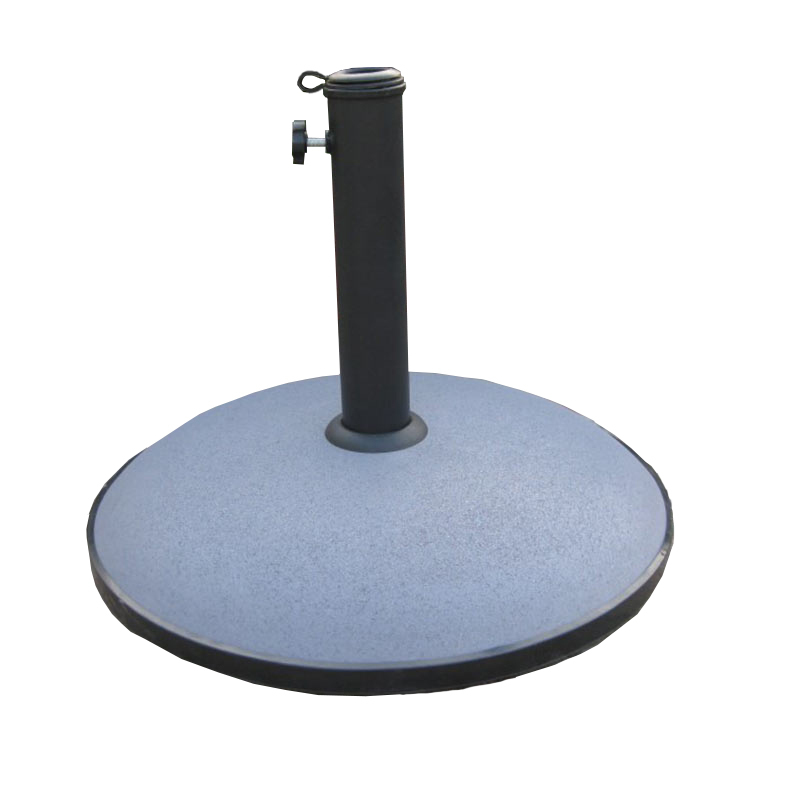 Your concrete parasol base will be shipped protected in moulded polystyrene packaging in a single outer carton with simple assembly instructions included. Need something heavier? Try this 50kg beast for size!